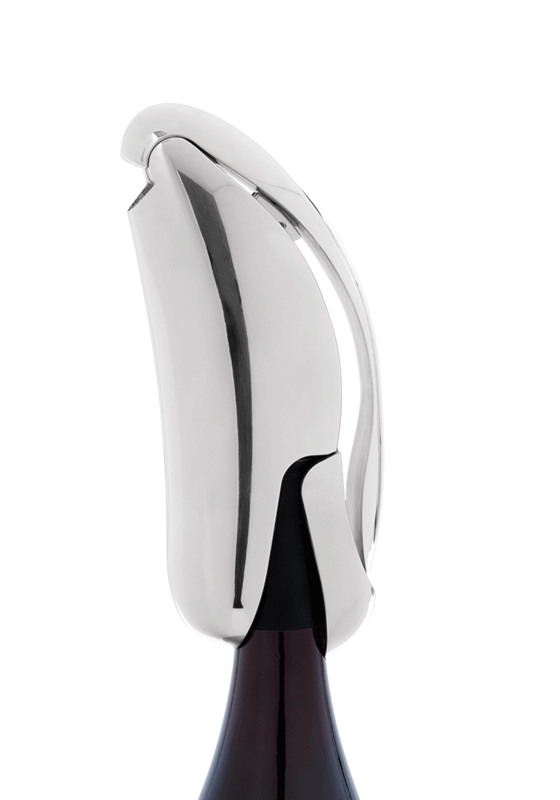 A sculpture dedicated to the pleasures of wine, L’Artiste is a vertical lever corkscrew made of injected metal with a chrome finish. Its unique and enigmatic shape is a tribute to the Graves terrain in Bordeaux, with pebbles polished by thousands of years on which the vines of this prestigious wine region are grown. 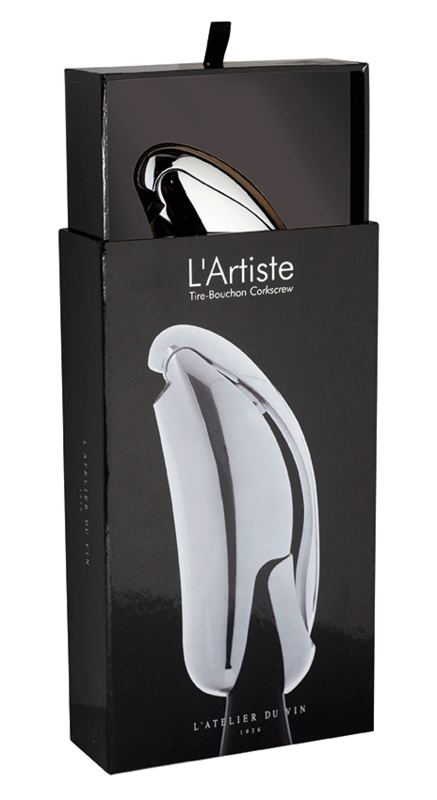 L’Artiste uncorks bottles quickly and easily. Auto-locking system. Spare wire in treated steel included. Design patent.